Reducing Pollution. Powering our Future. CleanBC helps us use more clean and renewable energy in how we get around, heat our homes, and fuel our industry — setting us on the path to a cleaner, brighter future. Helping you conserve energy and making your home healthier and more comfortable. Making B.C. industries the cleanest in the world by using clean energy to power our industrial economy. Making electric cars more affordable, investing in charging stations, and shifting to renewable fuels. Diverting waste from landfills and reducing polluting emissions. Making B.C. cleaner will create good jobs that support families and sustain our communities. We live, work and play in buildings. How they are built has a direct impact on our health and well-being. That’s why we’re going to make buildings work better for people all over B.C. 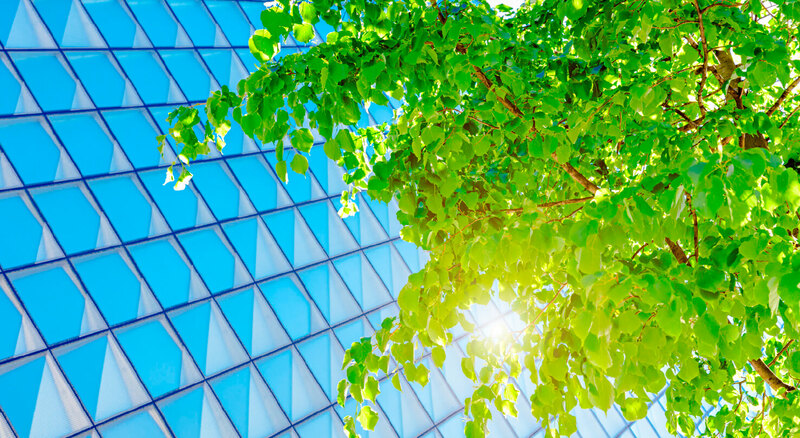 New CleanBC programs, rebates and incentives will help turn buildings all over the province into lower polluting, warmer, more comfortable and healthier spaces. 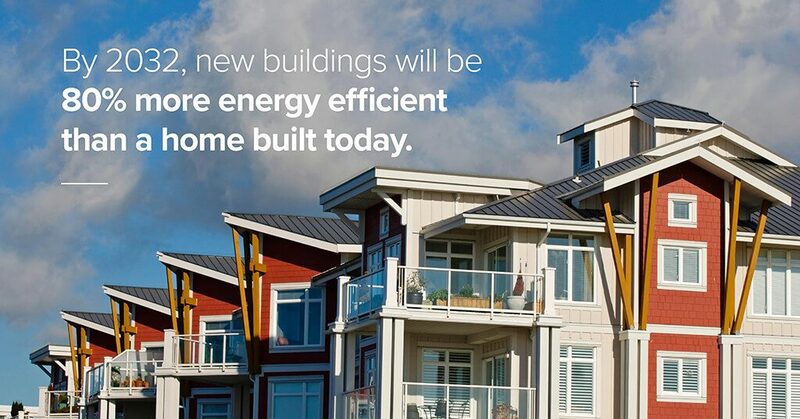 CleanBC will help us move forward to a future where buildings produce no polluting emissions at all. You may be eligible for up to $2,000 to convert your home heating to heat pumps. Find out how you can lower the cost of energy-saving upgrades. Together, these initiatives will bring down our carbon pollution by 2 million tonnes by 2030. By 2032, every new building in B.C. will have an ultra-efficient, net-zero energy ready design. B.C. accounts for nearly 35% of Canada’s clean tech firms. Along with our actions to reduce greenhouse gas emissions, CleanBC provides an effective blueprint to grow our economy. The low-carbon economy we’re moving to will bring opportunities across the province, so people can continue to live and work in the communities they call home. 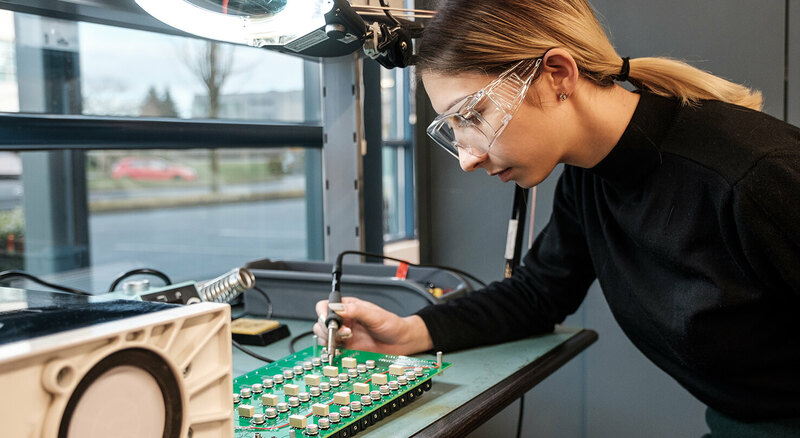 As industry continues to work with the clean tech sector to develop innovative solutions that reduce emissions, we can market our products, services, and technology to a world that is increasingly demanding clean, low-carbon solutions. Together, these initiatives will bring down our carbon pollution by 8.4 million tonnes by 2030. We’re moving to a future where new vehicles produce no air pollution at all. 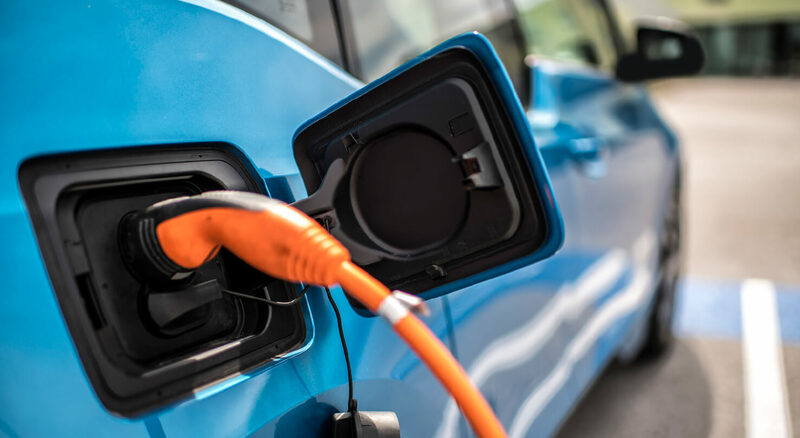 To get there faster, we are helping people afford cleaner cars and save money on fuel with incentive programs, and making it easier to charge or fuel them. We’re speeding up the switch to cleaner fuels at the gas pump. And building new, cleaner transportation technology and infrastructure means new economic opportunities and less time in gridlock, which is good for families and businesses. We’re making sure more people are able to afford to purchase a zero emission vehicle. 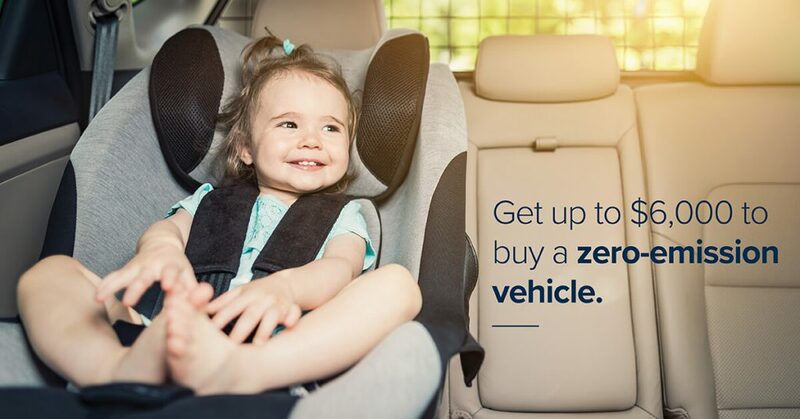 You may be eligible for up to $6,000 if your next purchase is an electric or plug-in hybrid electric car. Together, these initiatives will bring down our carbon pollution by 6 million tonnes by 2030. By 2040, every new car sold in B.C. will be a zero-emission vehicle. 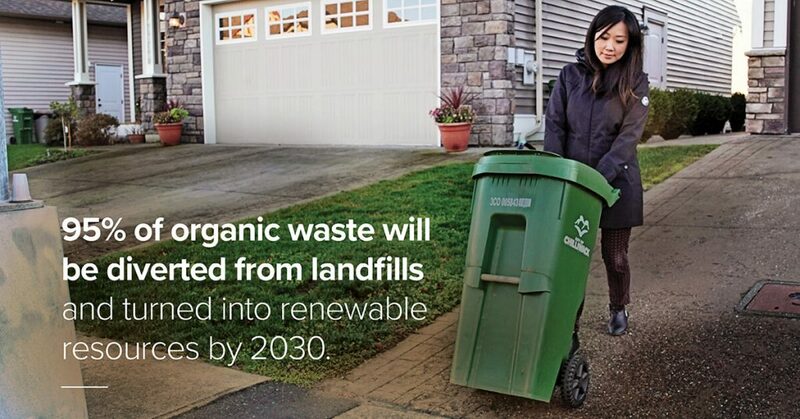 By 2030, 95% of organic waste will be diverted from landfills and turned into renewable resources. 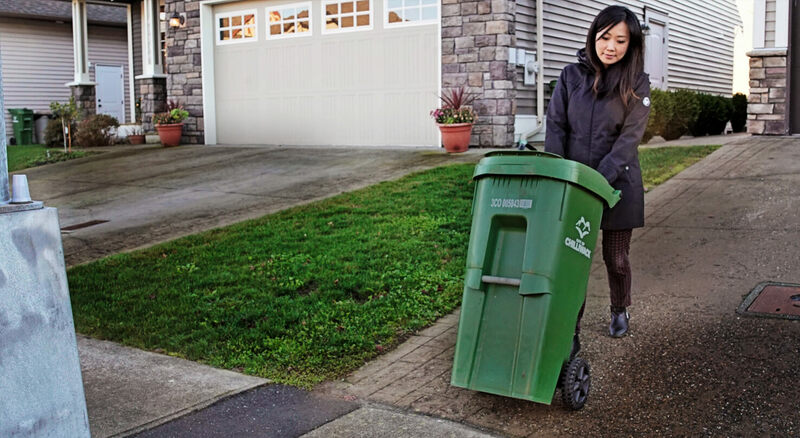 Industries and homes generate tonnes of garbage that pollute B.C.’s air, water, and land. And when food and organic waste is sent to landfills to decompose, poisonous methane gas is created. This is bad news for B.C.’s environment. We’re reducing organic waste and making better use of it by converting it into renewable resources that can be used as cleaner sources of energy to heat our homes and power transportation. Together, these initiatives will bring down our carbon pollution by 0.7 million tonnes by 2030. Whether it’s generating clean energy, retrofitting buildings or designing new technologies, making B.C. cleaner will create good jobs that support families and sustain our communities. We need new skilled workers, and new skills to equip those already at work across the province. We’re training people to get the skills they need to work in good-paying, clean-economy jobs – today and into the future. We are investing in two key sectors where we already know demand is strong and growing – cleaner buildings and cleaner transportation. 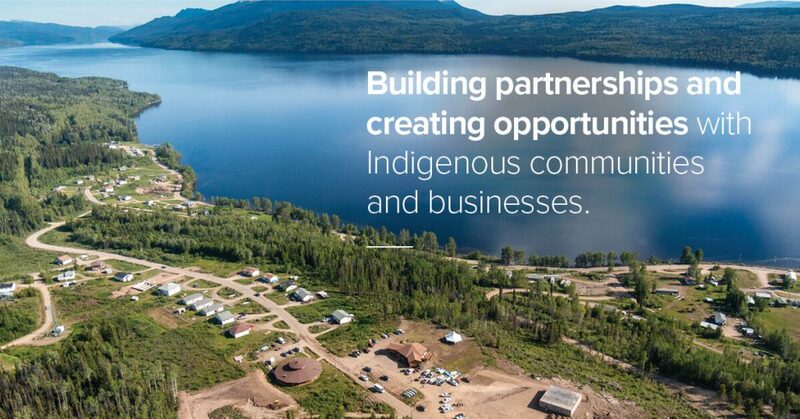 We will work in collaboration with Indigenous communities and businesses to seize new clean economy opportunities and help communities adapt to the impacts of climate change. The CleanBC program for industry will reduce industrial emissions by 2.5 Mt per year. CleanBC means by 2030, fossil fuel use for transportation will have dropped 20%. Learn more about rebates to buy a clean energy vehicle. By 2030, 60% of homes will use clean energy – and less of it! 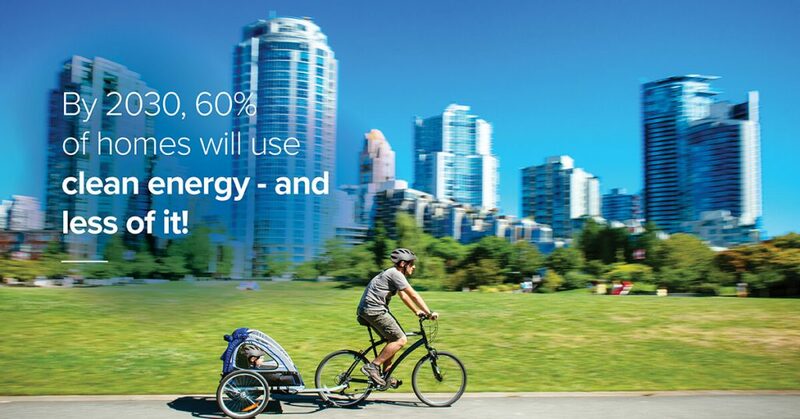 CleanBC means by 2030, 60% of homes and 40% of commercial buildings will be heated with clean electricity. 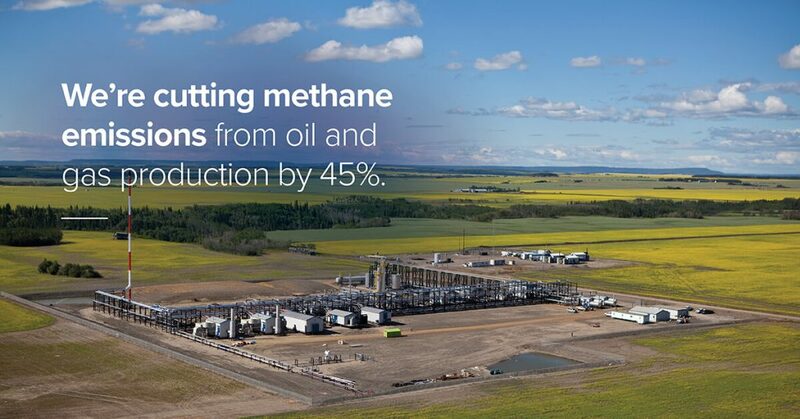 CleanBC means by 2030, 75% of landfill methane will be captured. 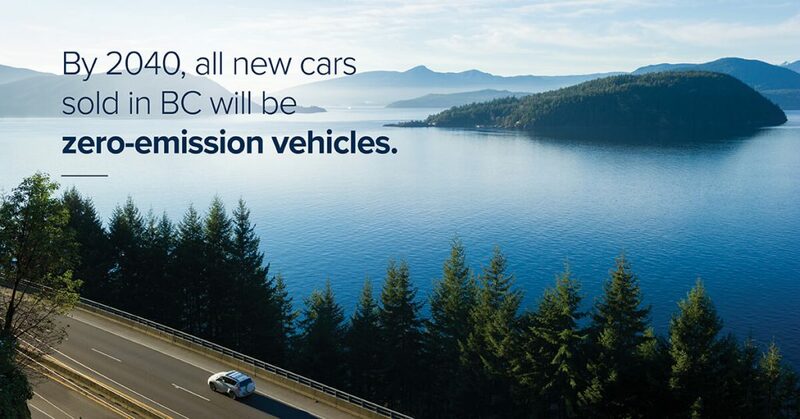 CleanBC means by 2030, 30% of all sales of new light-duty cars and trucks will be zero-emission vehicles, rising to 100% by 2040. CleanBC means by 2030, 70,000 homes and 10 million metres squared of commercial buildings will be retrofitted to use clean electricity in space heating. Learn more about rebates to make your home warmer and more energy efficient. The CleanBC Labour Readiness Plan will identify the labour and workplace opportunities that emerge as we build a low-carbon economy. 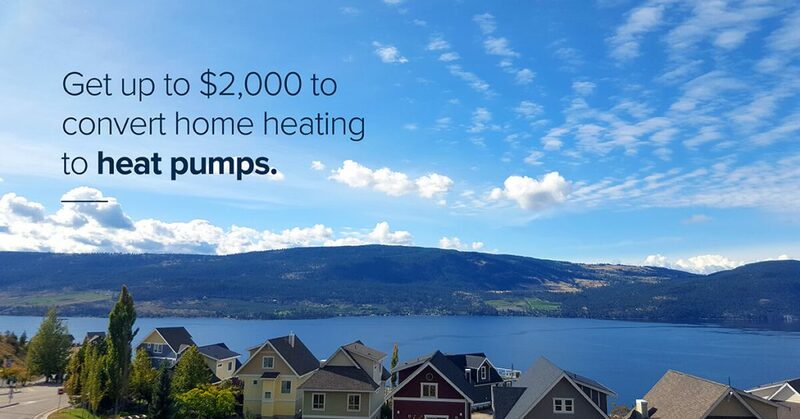 Get up to $2,000 to convert home heating to heat pumps. CleanBC means by 2030, 70,000 homes will be retrofitted to use clean electricity for space heating. 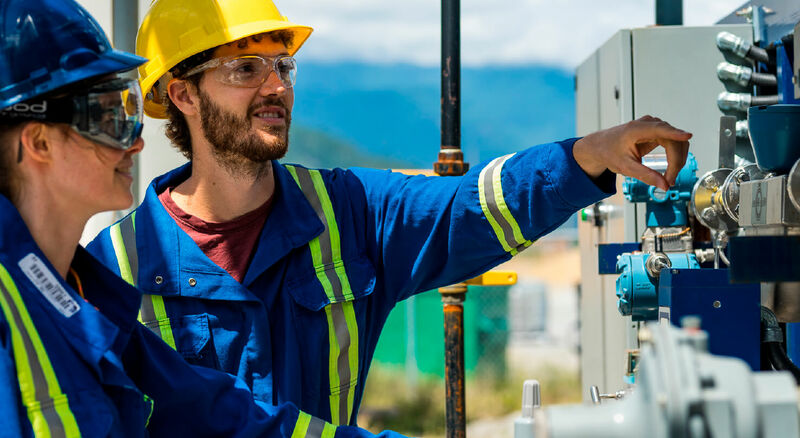 CleanBC means reducing methane emissions from upstream oil and gas operations through electrification, leak detection, and monitoring. 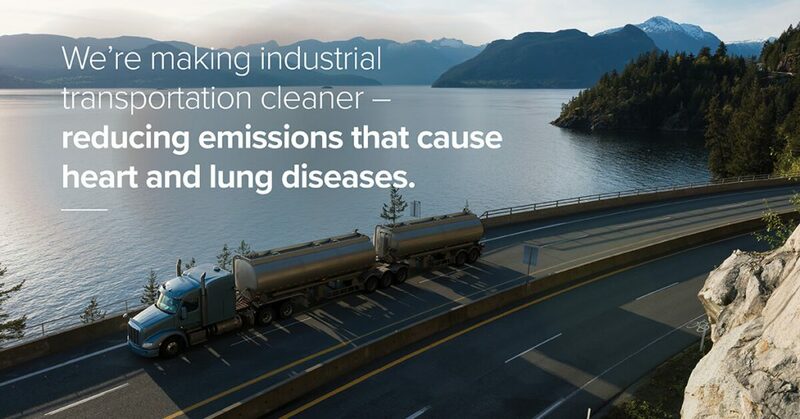 CleanBC means reducing harmful emissions from the transport of goods. "At a time when we are being reminded daily of the immediate and growing threat posed by climate change, British Columbia is helping blaze a trail toward hope and opportunity. Premier Horgan's vision builds on B.C. 's history of climate leadership and building momentum for action along the west coast and beyond." "B.C. 's new climate plan signals an exciting vision for a clean economy. In just over 10 years, all new homes and buildings will be low carbon. In just over 20 years, all new cars sold will be zero-emissions. Going forward, we will generate more clean electricity and renewable fuels, and burn less oil and gas. With other provinces faltering on climate action, B.C.’s climate strategy brings hope for all Canadians concerned about the well-being of their families and communities." "Climate change is a global challenge. Tools within the CleanBC plan support the Low-Carbon Industrial Strategy and position B.C. businesses and the province to be a supplier of choice for international markets seeking lower-carbon intensive energy, commodities and other inputs for their expanding economies. Acting on these strategies, British Columbia can play an outsized role in reducing global climate impacts in high-emission jurisdictions, while building a competitive and innovative economy for British Columbians and reducing emissions here at home." "This new strategy recognizes that by maintaining B.C.’s economic competitiveness, we will be able to provide the commodities, goods and innovation the world needs for the transition to a low carbon future. This is a tremendous economic opportunity that B.C. 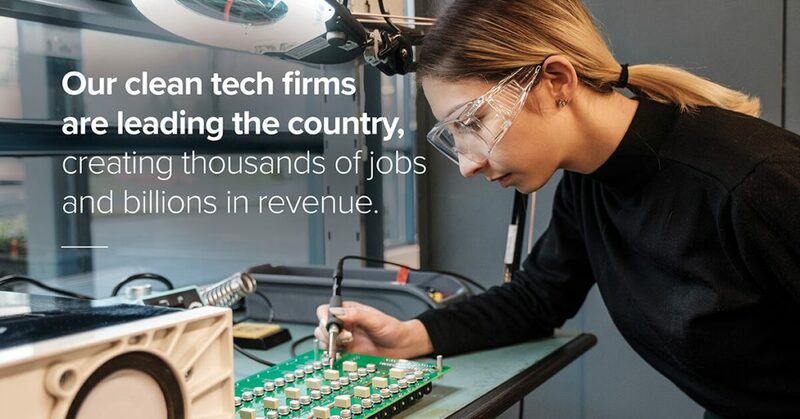 industries and communities are well-positioned to seize on to create jobs and prosperity." "British Columbia’s plan to cut carbon pollution is smart, ambitious and achievable. This is the sort of action every province in Canada and every state in America must take to turn the tide." 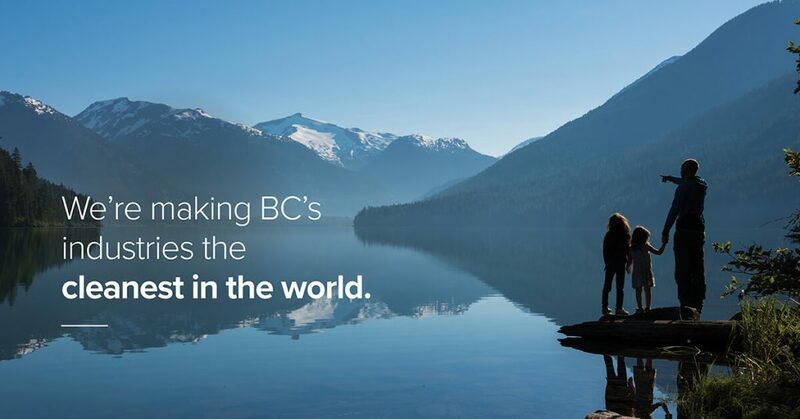 "As the organization responsible for the creative industries’ economic growth, Creative BC proudly supports the new CleanBC plan. It is through initiatives like the Reel Green strategic collaboration that B.C.’s film and T.V. production industries are showing global leadership with sustainable production practices that are reducing our carbon footprint." "British Columbia has shown real leadership on climate action in Canada and on the world stage. A decade ago, British Columbia put a price on pollution, and has since cut pollution, led the country in economic growth and built the fastest-growing clean tech sector in Canada. Their climate leadership is good for the environment and it’s good for the economy." "This plan returns B.C. to global climate leadership. Ten years ago, our world-leading clean electricity standard prevented two coal and one natural gas plants - keeping our electricity zero-emission. Today's adoption of the ZEV mandate combined with the Low Carbon Fuel Standard put B.C. as a world leader in decarbonizing transportation in an affordable way. These are the two critical sectors for reducing GHGs in wealthier countries but especially in developing countries." "The government’s clean growth strategy represents a historic opportunity to develop a new, sustainable economy that works for working people in all communities across the province. We’re committed to working together on just and fair transition strategies to protect existing workers and to ensure that new employment opportunities created by the CleanBC plan are good, family- and community-supporting jobs." "The true test of a government’s climate change plan is whether it puts us on course to cut pollution while building momentum for our transition to clean energy. CleanBC provides a framework to do just that, and with a clear commitment to deliver results, the B.C. government and B.C. Greens are poised to resurrect the province’s role as a climate leader." "Most British Columbians know climate change is harming us now and we need to respond. Today, the B.C. government delivered Phase 1 of a plan that repositions the Province as a Canadian climate leader. British Columbians can be proud to be at the forefront of landmark solutions for transportation and renewable energy. " "Congratulations to Premier Horgan and British Columbia for taking bold new steps to tackle climate change and build the clean energy economy of the future. As recent scientific reports have indicated, we have no time to waste and states and provinces must work together to lead the way as we challenge climate change. " "CleanBC is a bold and welcome step forward in the race to combat the climate crisis and secure a better future for British Columbians. It will benefit those of us here today and upcoming generations. CleanBC demonstrates how, in today’s polarized world, we can come together to turn the climate challenge into opportunities for a more just world of shared prosperity and resilience, and to protect the natural world on which we all depend." "When other provinces are notably opposing carbon pricing and opportunities to embrace a cleaner future, the leadership from the B.C. government demonstrated in this climate strategy is very encouraging. CleanBC highlights that not only is there no conflict between prosperity and bold climate action, but there is significant opportunity for strong economic development – for workers, for industry and for communities across our province." "CleanBC provides a clear path to meeting B.C.’s climate targets, outlining reductions for each sector of the economy. The community housing sector consumes 2,564.23 terajoules of natural gas. B.C. Non-Profit Housing Association works closely with BC Housing, FortisBC and BC Hydro to successfully reduce emissions. CleanBC will enable us to further reduce emissions and costs to tenants, creating affordable and financially sustainable buildings for low-income families across B.C." "With some governments moving away from real climate action, we are excited to see our provincial government with a credible and ambitious map of how it is going to achieve its 2030 climate targets. There are still details to be filled in and hard questions to be answered, but we finally have a plan and a transparent process for making sure that the plan gets completed and implemented. Congratulations to the B.C. Government."